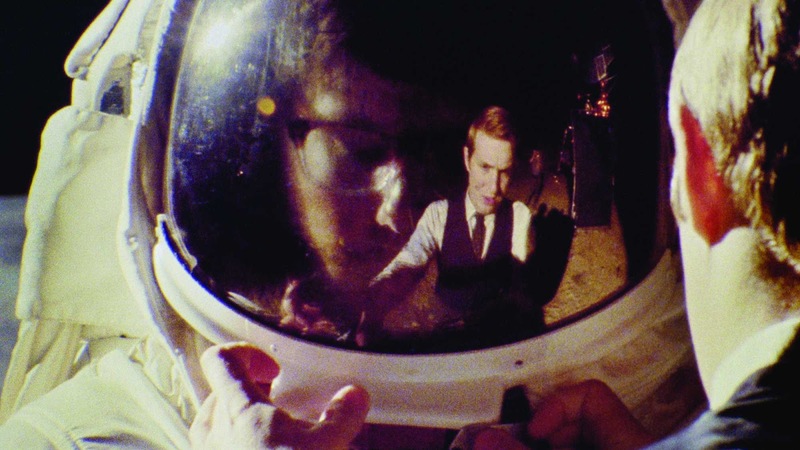 A found footage film that proves the Moon Landing was fake may sound like a joke too far, but director / star Matt Johnson’s relentlessly inventive piece is nothing but a pure blast of cinephile love and an ode to the American space race. In 1967, it’s the height of the Cold War, and there are concerns Russia’s going to beat America into space. At NASA, there’s an even deeper fear – that a mole has infiltrated their ranks and is stealing secrets. Enter four undercover CIA agents (helmed by Matt Johnson’s goofball) who convince NASA to let them in under the pretense of filming a documentary about NASA – and who end up pitching the idea of a spoof Moon Landing film to ensure American interests win the day. To their surprise, the CIA says yes…. Endlessly clever and draped in 70s aesthetics with Super 8 footage and an infectious joie de vivre, Operation Avalanche is a film within a film conspiracy and it damn well knows it. But the meta doesn’t become so smart that it’s alienating – in fact, it’s anything but. 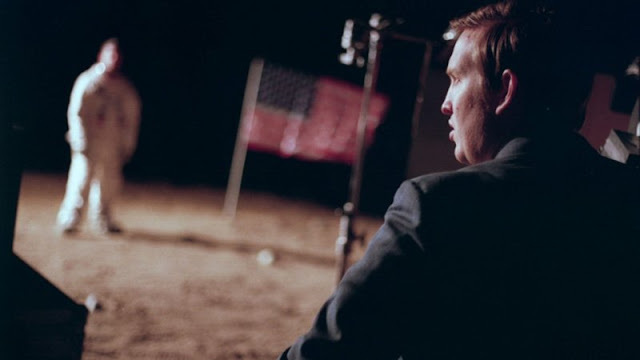 By taking the time to build character early on and set you a little off expectations by dishing out off-kilter moments and genuine laugh out loud moments at the geeky group as well as the premise that the CIA would allow a crew to blunder around filming, Operation Avalanche works incredibly well. Unless you’re a diehard conspiracy theorist, you will love the flourishes in this gonzo film, and to be honest, nobody’s trying to convince you this found film footage is real but that’s not really the point of Operation Avalanche. Effectively mining the special FX with ease and without obvious joins, there are authentic feeling moments which provoke marvel on a technical level – via Shepperton Studios and Stanley Kubrick. However, it’s not just these moments which stand out in Operation Avalanche. Johnson’s created a group of likeable guys, spearheaded by his own giddy boy’s own chutzpah and it’s infectious. So much so that the final act of the film becomes a tensely filled nail biter of a finale creating as real a sense of terror as any decently done spinetingler of found footage horror can muster. By never losing sight of the humanity in this space race shaggy dog story, Operation Avalanche is terribly evocative and effective. Clever and intelligently plotted within its layers within layers, it may be the smartest mass appeal found footage the New Zealand International Film Festival audience has seen. Unless it proves to be true.